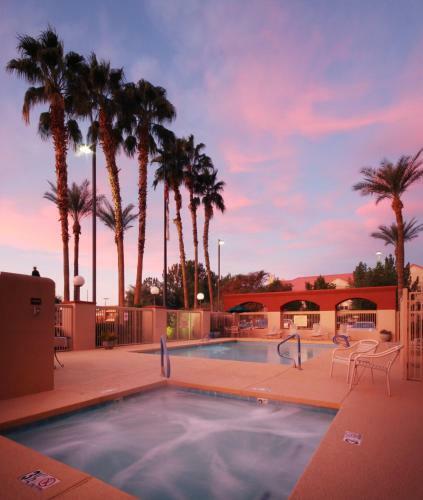 Near a variety of corporate offices in the Phoenix suburb of Chandler, this hotel offers convenient services and relaxing amenities, just minutes from attractions and activities. Hampton Inn Phoenix - Chandler is surrounded by championship golf courses, great restaurants and world-class shopping. Attractions such as the Chandler Center for the Arts and the Arizona Railway Museum are nearby. Guests at the Chandler Hampton Inn will enjoy free high-speed wireless internet access and a complimentary morning breakfast. In the afternoon, guests can go for a swim in the outdoor pool or workout in the fitness center. the hotel Hampton Inn Phoenix-Chandler so we can give you detailed rates for the rooms in the desired period.